v1.25 (Latest Version) Jan 8, 2019 - AutoExposure support for manual lenses and various minor fixes. v1.20 Added Fisheye perspective as a render lens. v1.172 Added Japanese-language support. Various fixes and speed optimization. v1.171 Deflicker tool improved with the ability to choose an area to sample. v1.17 High-resolution display support. Various bug fixes. v1.163 Added 15fps mode. Fixed various bugs with certain zooms. v1.162 Fixes bug to improve image quality with certain deep zooms. v1.16 adds preview playback, alignment grid, and RAWBlend adds support for tone curves, various bug fixes. v1.15 Adds support to copy/paste keyframes and save/load keyframes. Adds fisheye lenses for Nikkor 10.5mm and Peleng. Higher max previews. v1.14 Adds support for multiple key frames. 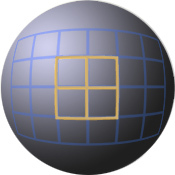 Adds 360° equirectangular image type, animating single images, and a file renamer tool. v1.12 Improves preview quality, multi-core performance, image resizing. v1.06 Adds deflickering and video export. v1.05 Adds zooming and improved previews. Demo videos by users show Panolapse in motion. 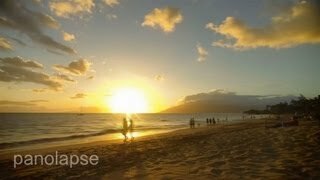 Visit Panolapse on Facebook for more demos and videos. Panolapse is a tool for creating timelapse videos, with features for panning, zooming, deflickering, RAW metadata interpolation, and batch rendering. Panning. Simulate rotational panning with perspective correction. Zooming. Animate a lens zoom in or out of your scene. Blend frames with RAWBlend. 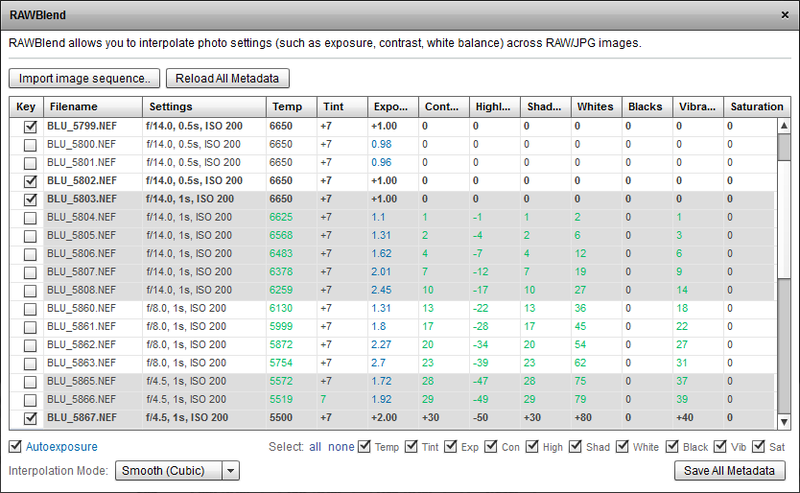 Interpolate RAW metadata like exposure, contrast, white balance, saturation, and more. Deflicker. Smoothen changes in brightness. Autoexposure. Get perfect exposure no matter what camera settings you're at, analyzing changes in aperture, shutter speed, and ISO. 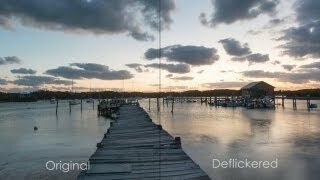 Combine JPG images into a video. 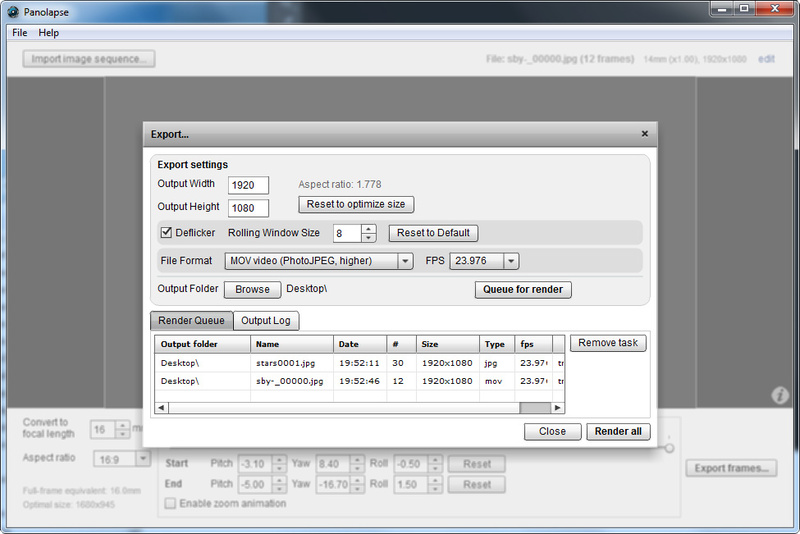 Export to high-quality images or video (jpg, mp4, mov). Fisheye Lens support. Works with both normal lenses and fisheyes. Animate stitched panoramas. Supports 360° equirectangular panoramic images. Fisheye Effect. 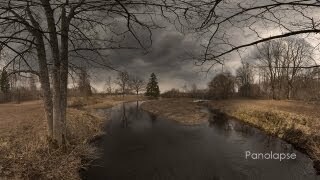 Convert timelapses to fisheye perspective for added artistic effect. A wide-angle image can be rotationally panned with perspective correction. 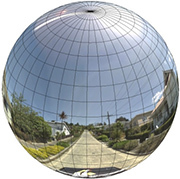 A fisheye lens allows up to 360° rotation. The concept behind Panolapse's motion effect is similar to that of 360° panorama viewers, using 3D perspective correction to simulate real-world accurate movements. Up to now, photographers generally had two methods for adding motion to time-lapse sequences. One approach has been to mount the camera on a motorized track or head. These systems are often heavy and restrictive. The other method applies video-editing software to digitally crop and slide. But since this doesn't correct for perspective, the results can be unnatural. Panolapse applies perspective correction to create natural panning. It adds rotational motion to a sequence, essentially acting as a motorized-head. RAWBlend is a powerful tool for blending from one frame to another seamlessly. Set keyframe images, and let RAWBlend interpolate your exposure, color temperature, contrast, and other metadata between images. With RAWBlend, you can process just your first and last frames - it does the rest. For more information, visit the page on RAWBlend. Slight mechanical differences between each shot by the camera often causes flickering in a timelapse video. Panolapse corrects this by tuning each frame's brightness levels towards a computed moving average for optimal smoothness. AutoExposure and the "Holy Grail"
When shooting a timelapse in rapidly changing light (such as sunrise or sunset), it may be necessary to adjust camera settings to keep the image properly exposed. This is known as the "Holy Grail timelapse," as it's so difficult to get right. AutoExposure automates this process by analyzing each frame for changes in aperture, shutter-speed, and ISO - and then adjusts exposure accordingly. Shoot at any setting and get perfect exposure every frame. 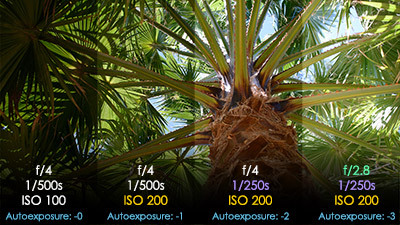 Autoexposure analyzes aperture, shutter-speed, and ISO while interpolating exposure. 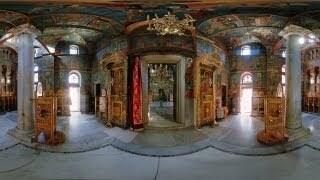 The fisheye effect is an artistic tool for your timelapse videos, simulating a fisheye perspective. Non-fisheye photos can be converted to fisheye (or vice versa). This perspective bends horizons, magnifies the center, and spans an ultra-wide field of view. Used tastefully, it can add that extra "wow" factor to your time lapse videos. 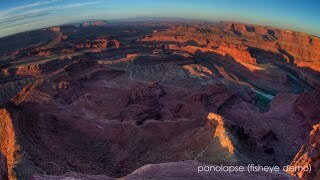 Aside from timelapses, if you're into creating panorama images, you can use Panolapse to animate your panorama as a moving video by importing a 360°x180° equirectangular image. 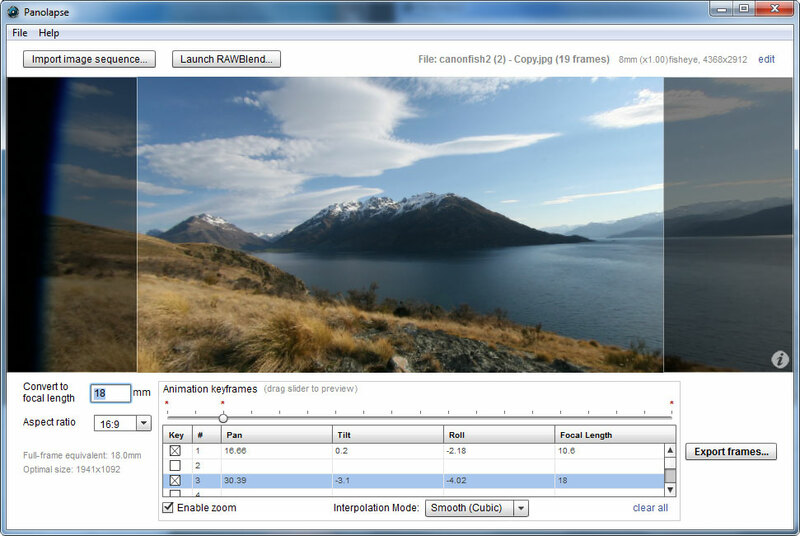 Export your final video in visually-lossless JPG frames, .mov (PhotoJPEG) video, or .mp4 video. Batch multiple render tasks to save time. Does Panolapse support my camera? Yes. You can set the crop factor, lens focal length, and lens type (normal, fisheye, stereographic, equidistant, thoby, or equirectangular) so the program works with all cameras (full-frame, crop-sensor, point-and-shoots, GoPro, Rikoh Theta, etc.,). 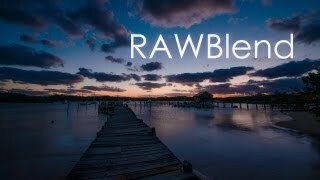 In addition, RAWBlend works with dozens of RAW file formats, as well as JPG. What camera/lens works best with Panolapse? Any camera/lens will work fine, but wider lenses give you more room to pan. A 24mm lens or wider on a full-frame sensor is recommended. Fisheye lenses, including GoPro cameras, capture even more of the scene to allow greater panning motion. I already have a motorized system for time-lapses. Panolapse can be used on top of hardware systems, allowing you to further tweak and adjust motion for more creative control. It can also be useful in situations where you can't bring all of your gear. Panolapse is free for output resolutions up to 1280x720 HD. To unlock unlimited resolution, please support the project by buying a license. 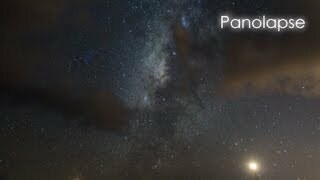 Panolapse was originally created by Patrick Shyu for the Blue Eden project, a series of high-definition videos across the world. Please feel free to email contact@panolapse360.com.